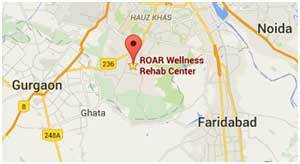 Mr. Sanjay, Director of ROAR, is involved full time with the therapeutic and facility management of this treatment facility. For the last 14 years he has been working tirelessly with Alcoholics and Addicts as the Founder Director of Rama De Addiction and Rehabilitation Centre, Asola, New Delhi and as a result helped innumerable people to recover and live Alcohol/ Drug free, productive lives. Dr. Ashwani Chopra – M.B.B.S., M.D., M.R.C.P.,an eminent Physician and Gastroenterologist of Delhi. He went to the United Kingdom for specialization where he worked as Registrar in Chasefarm Hospital and the Royal Post Graduate Medical School, Hammersmith Hospital both in London. Dr. Chopra obtained his MRCP degree from London in 1980. He launched Aashlok Hospital, the first private modern multi disciplinary hospital, New Delhi in 1984. He is a visiting consultant at ROAR. Dr. Swati Kashyap MBBS, MD.CH(UK), PD.CBH(UK), D.Psy – trained in the UK in Behavioral Medicine, Medical Hypnotherapy, Psychotherapy and De-addiction Medicine. She is a doctoral diploma (super-specialization) in Cognitive Behavioral Hypnotherapy. She is the first Indian member of the British Association of Medical Hypnotherapist and also holds a diploma in CBT (Cognitive Behavioral Therapy) and an M.Sc in Applied Psychology. She is also India’s only EMDR therapy Level 3 Clinician certified by EMDR Association Europe. She has been trained in NLP ( Neuro-linguistic Programming as Practioner (INLPTA cert. )from Brighton.She is a certified Hypnotist from Hypnosis Motivation Institute, California. Dr. Manish Sarkar M.B.B.S., D.P.M. FIPS Sr. 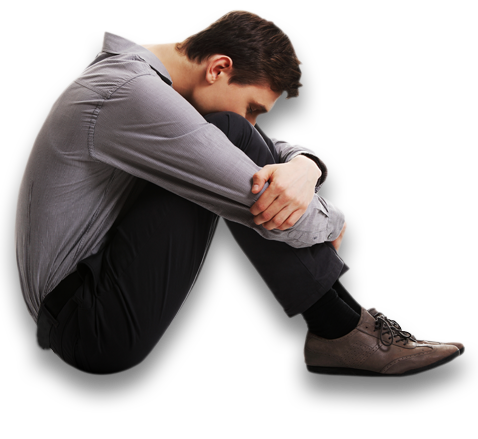 Consulting Psychiatrist and Psychotherapist – is a prudent Psychiatrist having in depth knowledge in this field. He is highly competent to handle a broad range of psychiatric disorders and substance dependence with considerable ease. Dr. Sarkar Did his post graduation in Psychiatry from the prestigious and premier institute in psychiatry in India ‘NIMHANS’, Bangalore and then completed his senior residency at premier St. Johns Medical College, Bangalore. He is also serving patients in Indian Spinal injuries Centre and Batra Hospital. Ms. Shilpi Banerjee – is a clinical psychologist, having done her M.Phil.in medical and social psychology from Central Institute of Psychiatry, Ms. Banerjee has worked at institutions such as Army Base Hospital (Delhi Cantt) Cosmos Hospital’s Delhi Psychiatric Centre and Tulsi Rehabilitation Centre. Currently along with a private practice she is a consultant at Rama Rehabilitation Centre. She has special interest in an eclectic approach to psychotherapy that includes Positive Psychotherapy, a relatively recent development in the field. Mr. Raj Mathur – Mr. Mathur has selflessly dedicated his services for the well being of Alcoholics and Addicts for the last 28 years and is well known for his deep understanding of the AA Big Book. Rajiv Ghosh– Program Director, Snehlata, Kolkata. He has been working in this profession for the last 20 years and is a Visiting Resource Person. He was formerly Project Manager for various Kripa Foundation facilities. Debojit Majumder– Former Administrator/Executive Director of Kripa Foundation has done his certification in addiction counseling along with being a faculty member at the Kripa Institute of Training. Has been a Resource person for Work Place Prevention Programs for various corporate, and a guide to final year PG students from TISS, Mumbai University, SNDT University and Medical Colleges. Visiting Recovery Coach and Core Member of Therapeutic and Facility Team. Mrs.Rita Gangwani– is a Retd. Officer from the Indian Army. She holds a degree from the prestigious Swiss Indian Finishing School, Etiquette School of New York. She is an expert with nearly 24 years of experience in NLP, SILVA, DYNATICS as well as various MIND AND SPIRITUAL HEALINGS. Oswald Pereira– Patron – In – Chief Pioneer of Rehabilitation Therapy in India and Co-Founder of KRIPA FOUNDATION, Oswald Pereira, popularly known as Ossie, is a visitor as and when his health permits. At age 83, his enthusiasm to help suffering addicts and alcoholic is unparalleled.